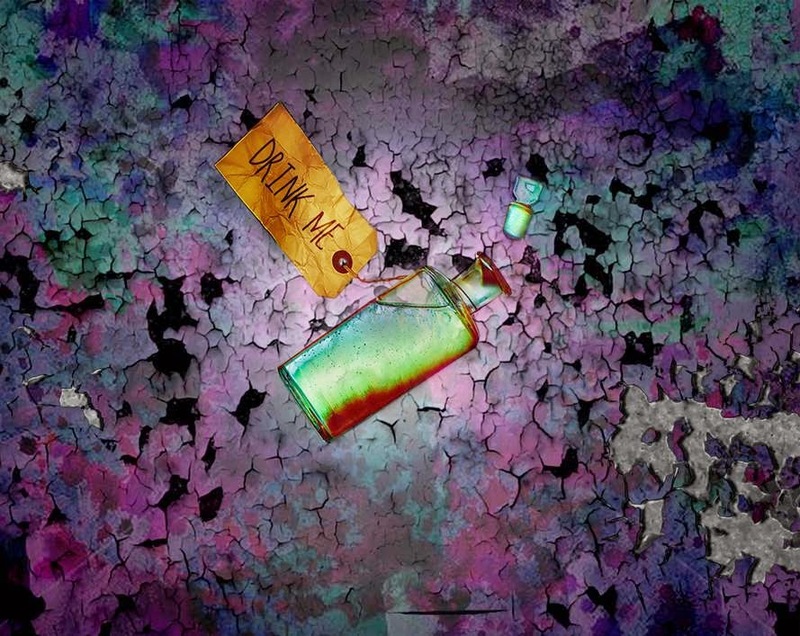 EAT ME of DRINK ME - which will you choose? SO you know how I like to rave about book covers that I like, this will be something like that BUT TIMES A THOUSAND - BECAUSE THIS SET! OH ME OH MY! I love an immersive experience, I think books transition so well into dramatic performances and this is times'd by a hundred when you actually recreate a world and put people right in the middle of it! 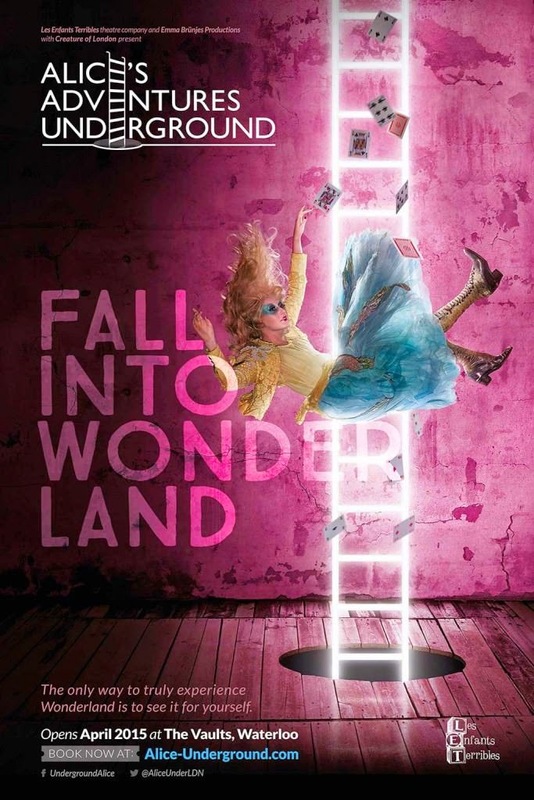 We've all watched the Disney version, and if you haven't what rock are you living under, and wondered what it would be like to find yourself in wonderland. I'm not afraid to say I was skeptical going into this. I hadn't known what to expect and I've seen a range of different immersive shows and I was trying to go in without preconceptions. And then everything I went in worried about was blown out of the park....You go into a room, and your adventure begins, we heard the trains rumbling overhead and the lights flickered in strange coincidence. There were books everywhere so that's always a good start, and the amount of detail that went into everything in that fist room gave me a very good feeling. And Lo! Here is Alice, but not Alice like you'll remember and to get to her you'll have to take a journey through wonderland, deciding whether to eat me or drink me that sets you on a predetermined course, through a 90 minute rollercoater of a ride! The story was EXACTLY as I remembered it, but made personal! Years ago I sent my friend a fun edited edition of ALice where we could be characters in the story...BUT NOW I WAS! 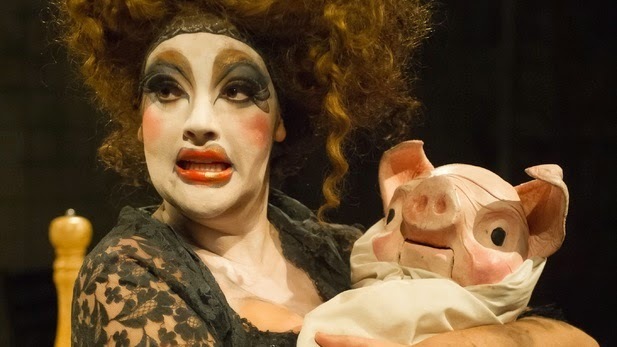 I even had the Red queen accuse me of stealing her tarts! Oh how I could wax on all day about how cool the sets were, and I can only Imagine the time, effort and dedication that's gone into it! 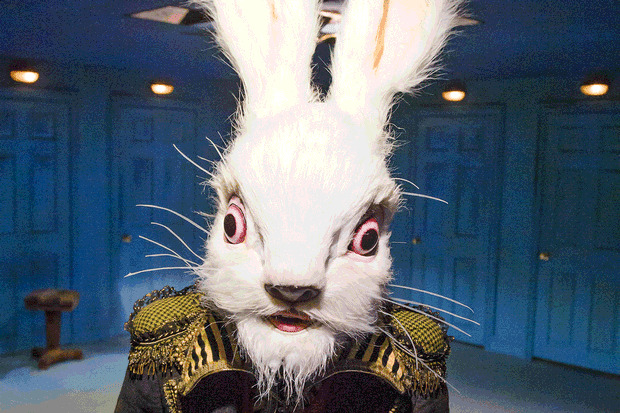 There was a great mix of Digital, puppetry and actual set that really built the story well! And they weren't your traditional, classical sets, but were aided by the setting of The Vaults which added a gritty level of underground nature...because well we were underground. They were also so different in their vibes, each one carefully thought out and recreated from the Caterpillars lair, to Tweedle Dumb and Tweedle Dee's room to the mad hatter's tea party, it felt like you were in Wonderland..but one like you've not been to before! The only problem I had was that it wasn't longer and so I want to go back and experience it all again!! There will also be some great discussions looking at the various influences Alice has had on us. 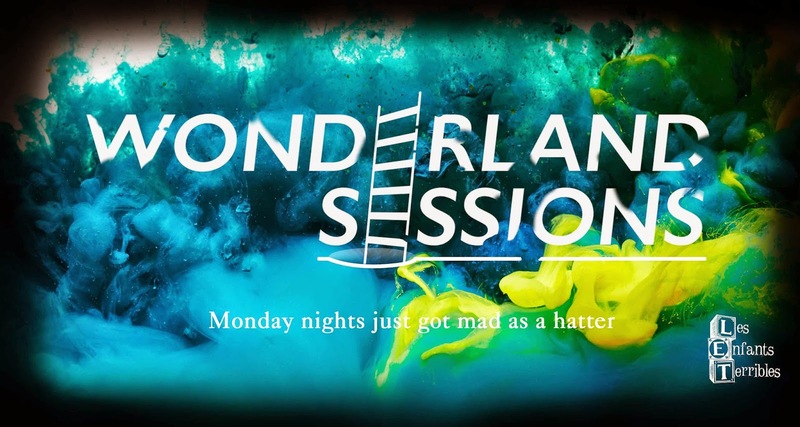 On Monday nights The Wonderland Sessions will host a variety of companies and speakers to present a multi-art exploration of Alice as a cultural institution. There's a great one this Monday April 27th, 'The Story of Alice' which discuss the book of the same name (published by vintage) which looks to be a very interesting read. Check out the full schedule HERE. If you do ONE thing this this summer GO AND SEE THIS SHOW, it's been extended until August so there's no excuse! We'll also be interviewing one of the designers, who worked on the production so #watchthisspace for that! Wow I am so jealous, this sounds amazing! 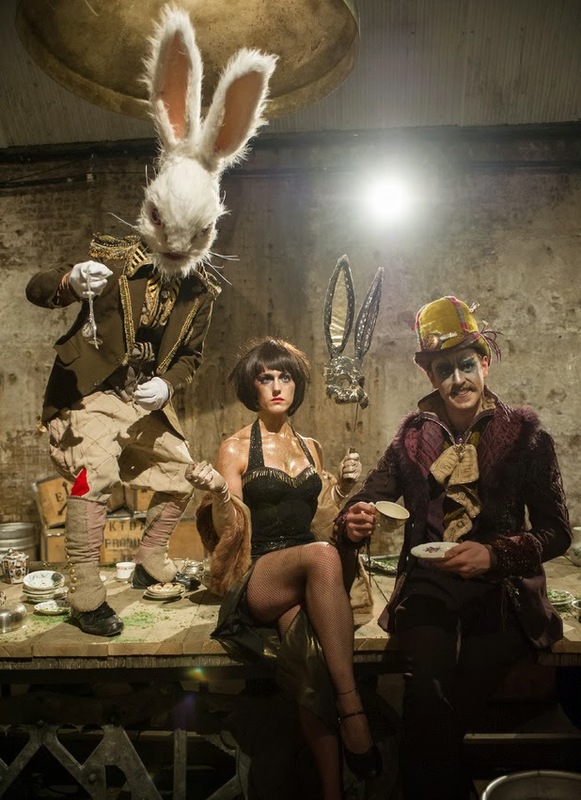 I love immersive theatre and Alice so the two together sounds mind blowing! Oh I'm so glad you posted this as I think I'll be doing this for my birthday this summer. It looks fantastic!